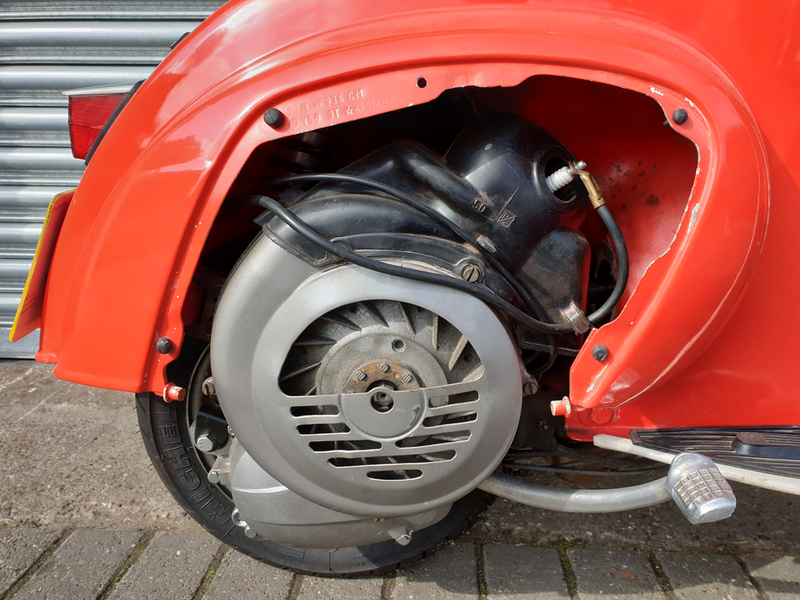 This is the latter series 2 model which benefited from a more powerful engine with a 4 speed gearbox and cast aluminium hubs with 10” rims. 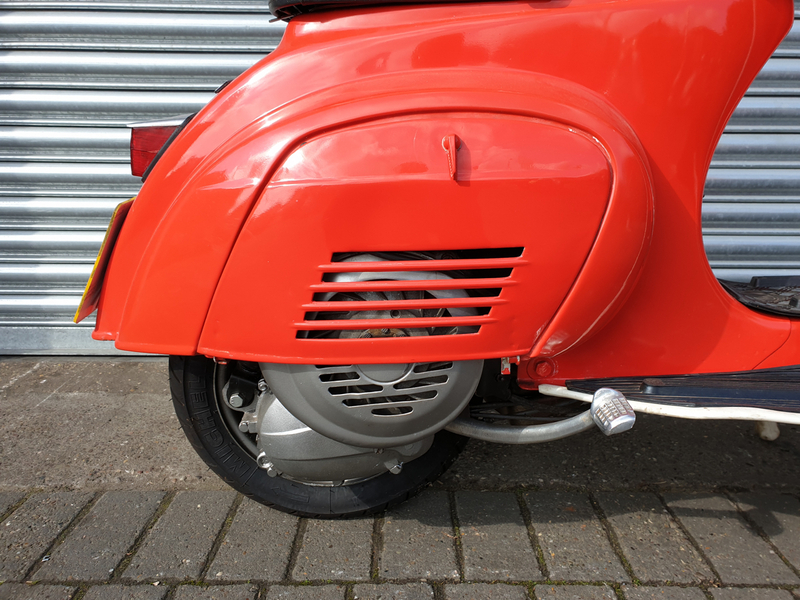 Other design features include as the squared off headlight and contrast silver horncover. 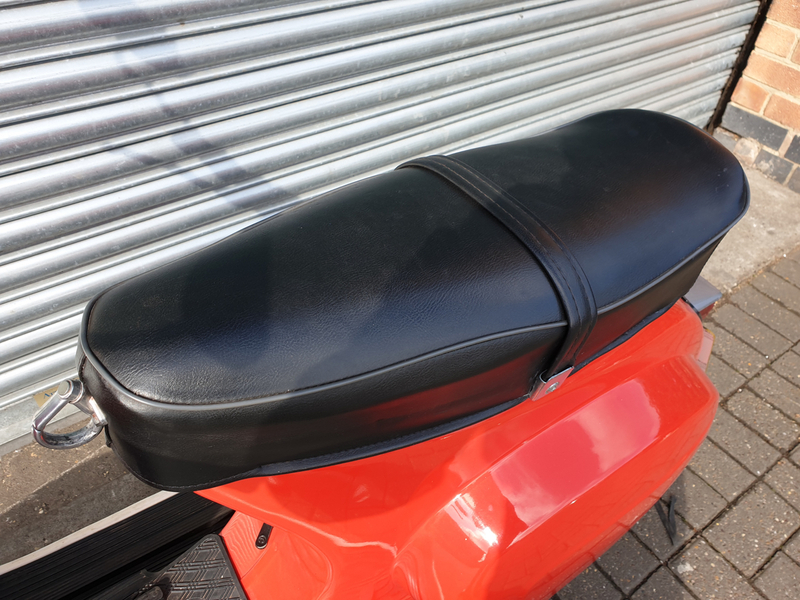 This bike has been recently restored to an excellent standard including the fitment of a speedo as these were option at time of manufacture. 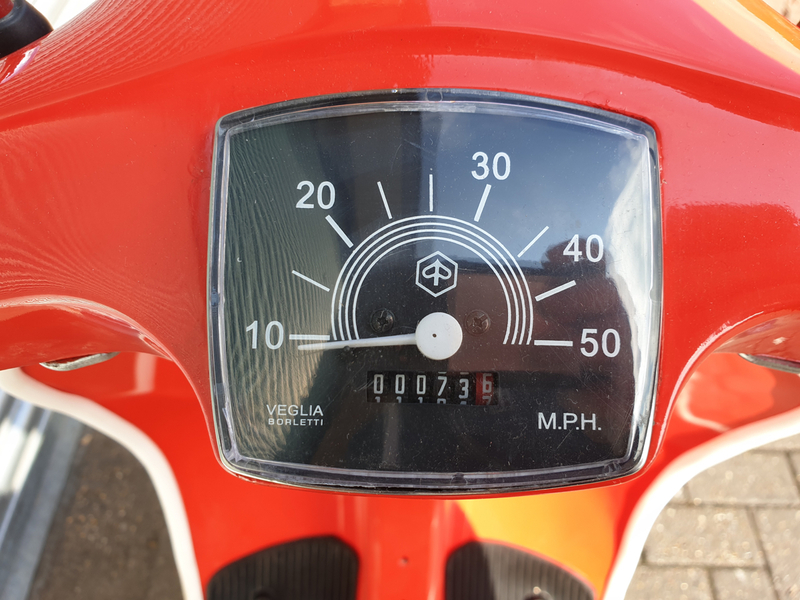 Since the rebuild this bike has only covered the 73 miles as shown on the speedo. 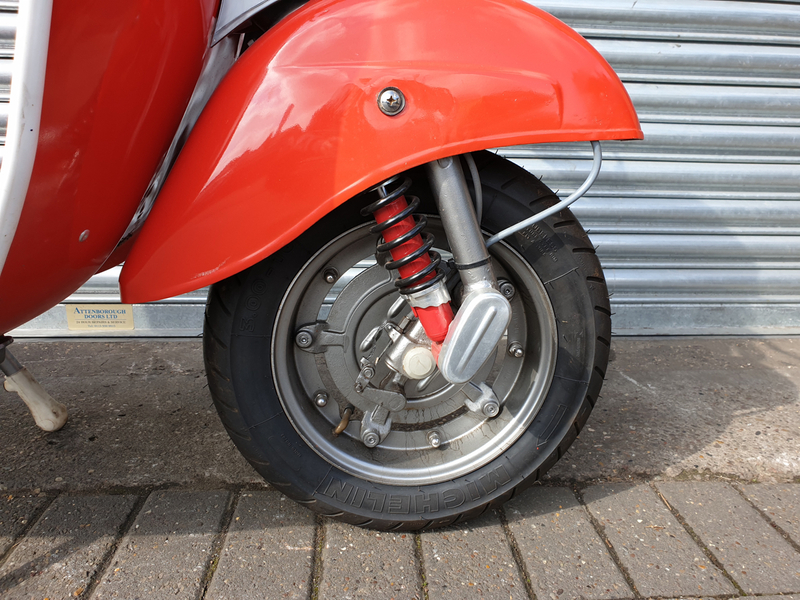 This bike is fitted with new Michelin S1 tyres and an an upgraded 12v ignition system. 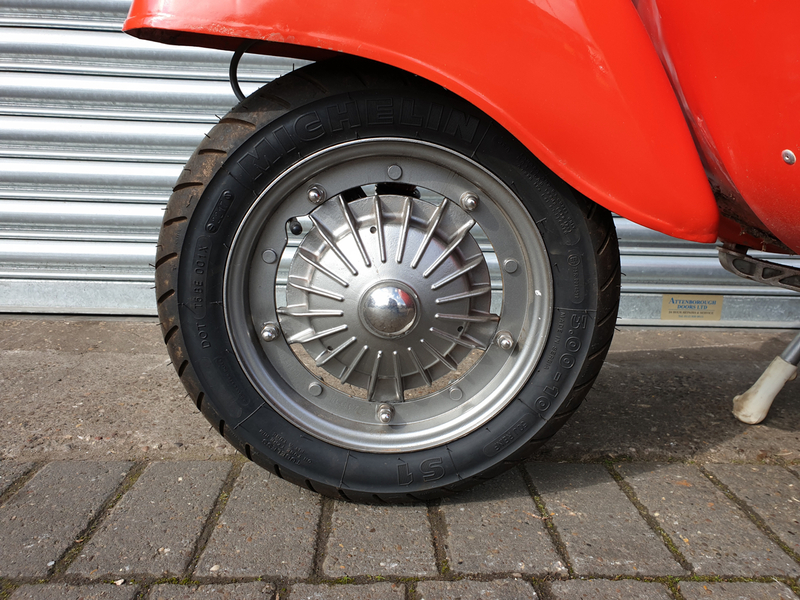 The rims and hubs have been powder coated in a smart metallic grey. 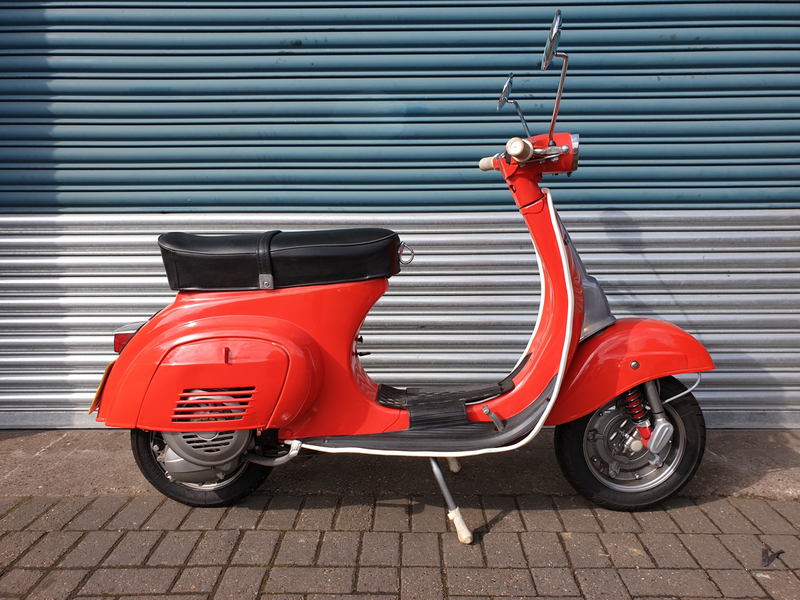 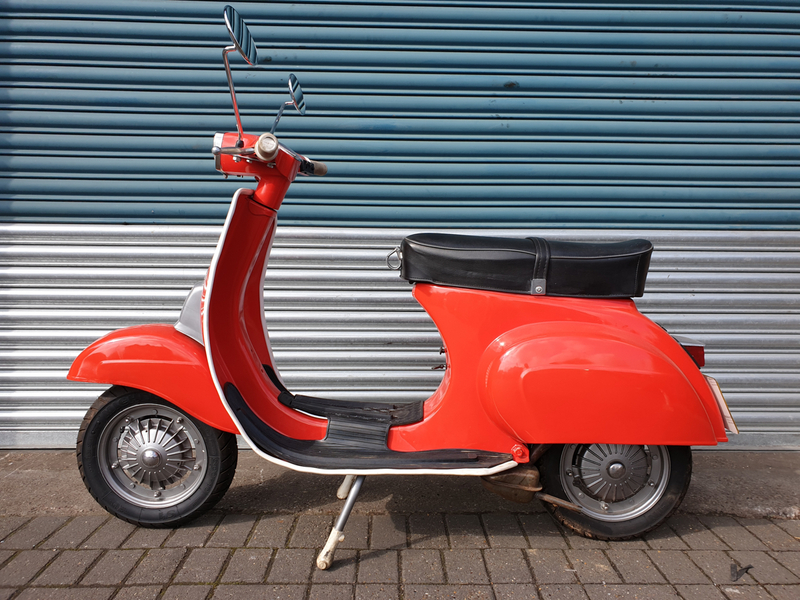 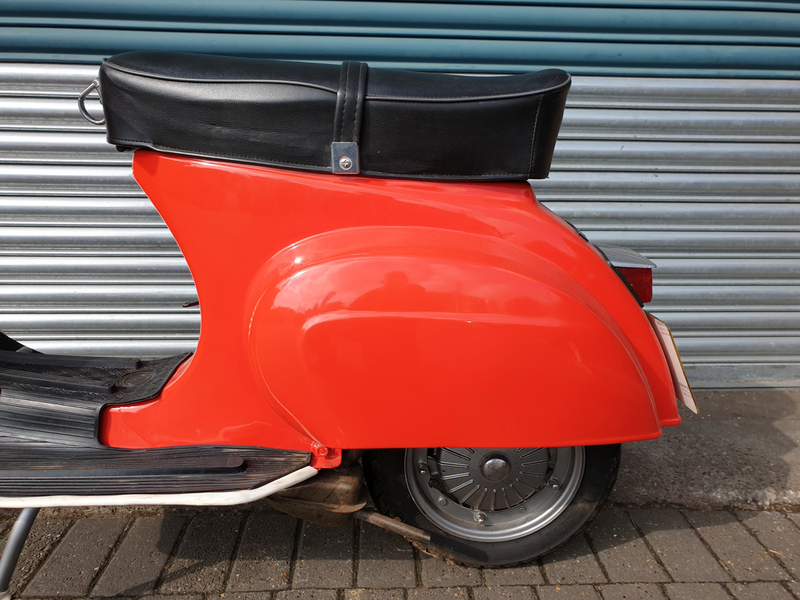 Unfortunatly, finance is not available for this Vespa 50 Special (Series 2). 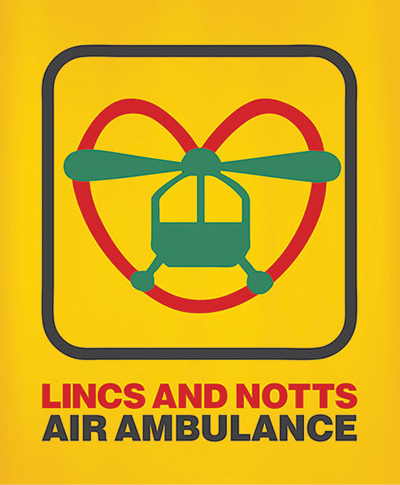 For more information and finance advice please contact us. 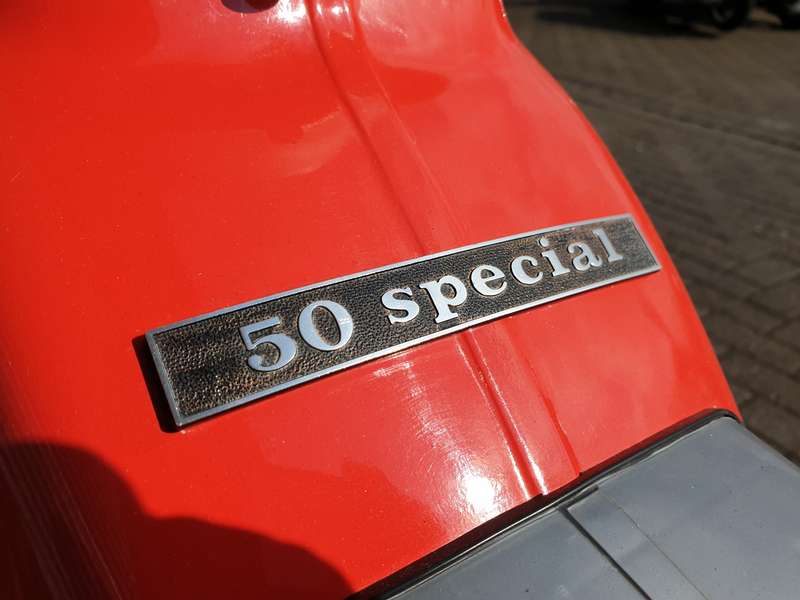 Got a question about this Vespa 50 Special (Series 2)?